Another major feature has just been released. 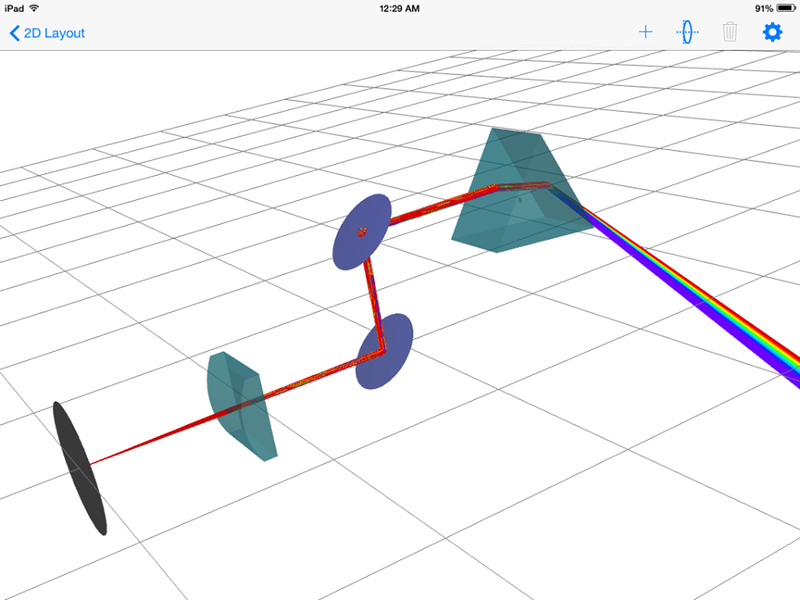 This version of the RayLab adds the ability to model beam splitters. You can model polarizing or non-polarizing cube beam splitters and pellicle beam splitters with adjustable reflectance parameters Rs, Rp. 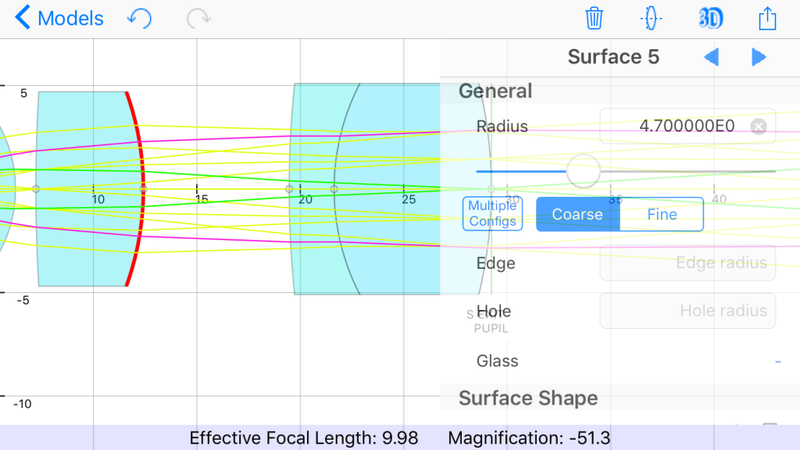 You can also model partial reflection/refraction at all glass surfaces using the Fresnel equations. In addition, it is now possible to model interference patterns using the Coherent Detector analysis window. The ability to animate between configurations. The ability to perform image formation simulations. Another major feature of this release is support for arrays of arbitrary optical elements or sources (See more details). 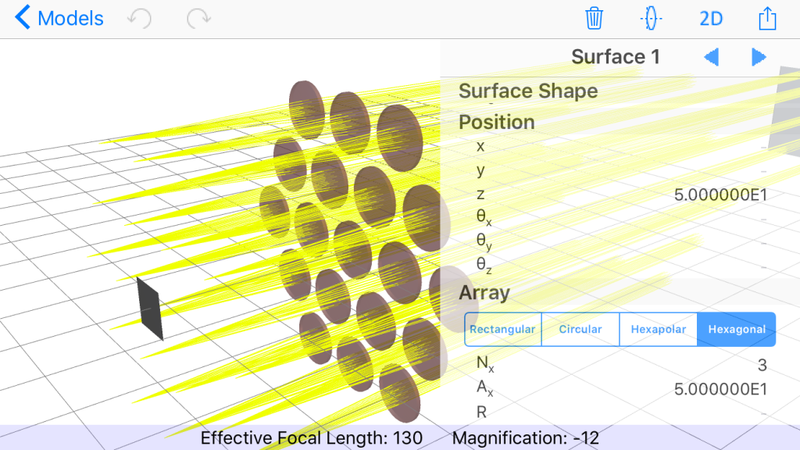 RayLab 3.0 has just been released in the App store. This upgrade is a major step up in capability for RayLab. 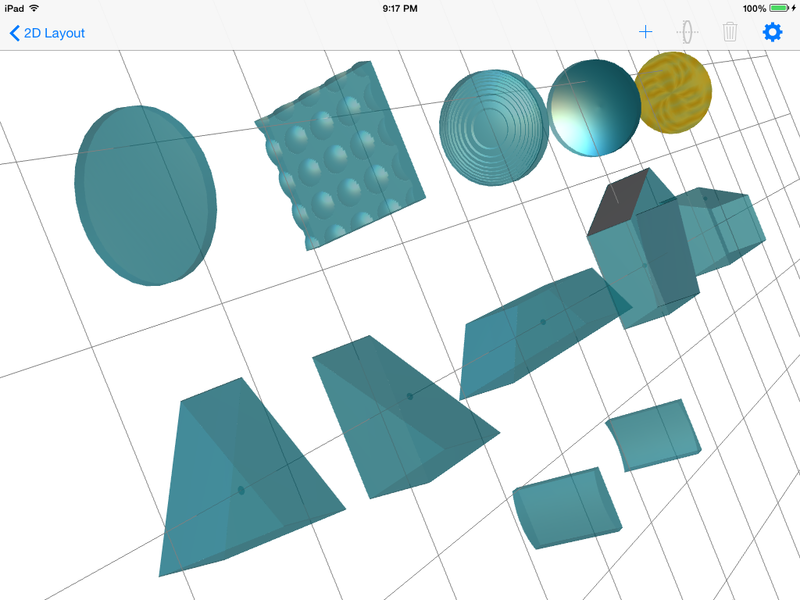 You can now create full 3 dimensional optical models. The model can be easily rotated and viewed from any direction. The upgrade also adds various non symmetric elements such as cylindrical lenses and prisms. Zemax import functionality has also been enhanced to handle 3D models. Many of the analysis and report options which were available in 2D models are also available in 3D models. Copyright © 2013-2018 Kamyar Ghandi. All rights reserved.